The 299-ft M/V Ortelius was built in Poland in 1989 as a research vessel for the Russian Academy of Science, previously named the Marina Svetaeva. 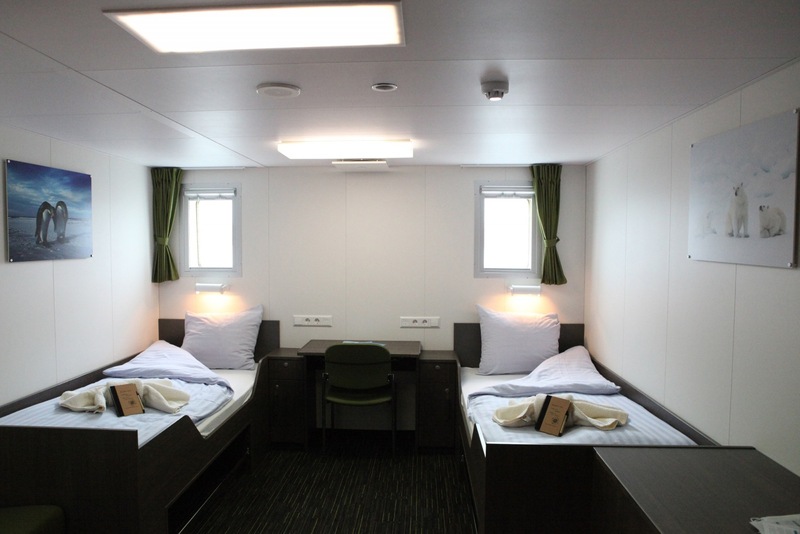 In 2014, the Ortelius was refurbished into a 116 passenger polar expedition vessel, offering passengers a quality exploratory wildlife program during their Antarctica travel, maximizing wildlife observation by spending as much time ashore as possible. The Ortelius complies with the latest SOLAS (Safety of Life At Sea) regulations and is ice-strengthened with the highest ice class notation (UL1 equivalent to 1A). The vessel can navigate in solid one-year sea ice and loose, multi-year pack ice, and enable passengers to visit remote locations on their Antarctica adventures. You’ll sail directly to “High Antarctica”, passing the Melchior islands and the Schollaert Channel between Brabant and Anvers Island. Possible visits over the next few days include Cuverville Island, a small precipitous island, nestled between the mountains of the Antarctic Peninsula and Danco Island, where you will find a large colony of Gentoo Penguins and breeding pairs of Brown Skuas. 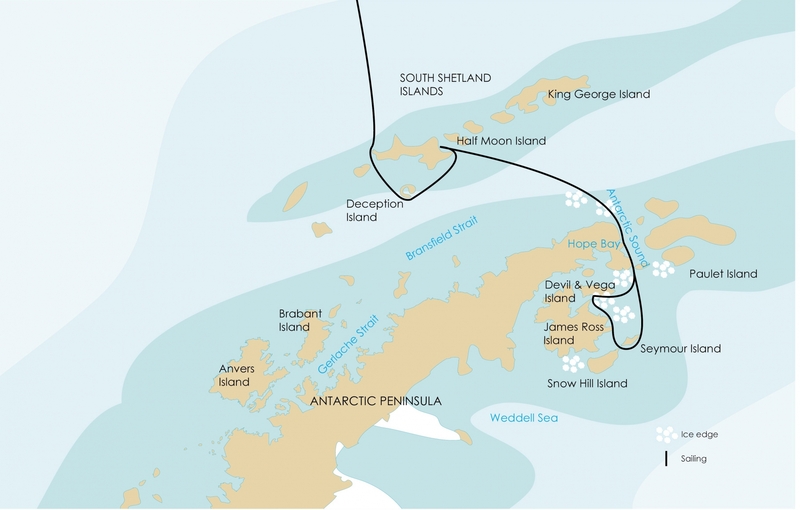 On Danco Island, you can observe Chinstrap Penguins and possibly Weddell and Crabeater Seals. 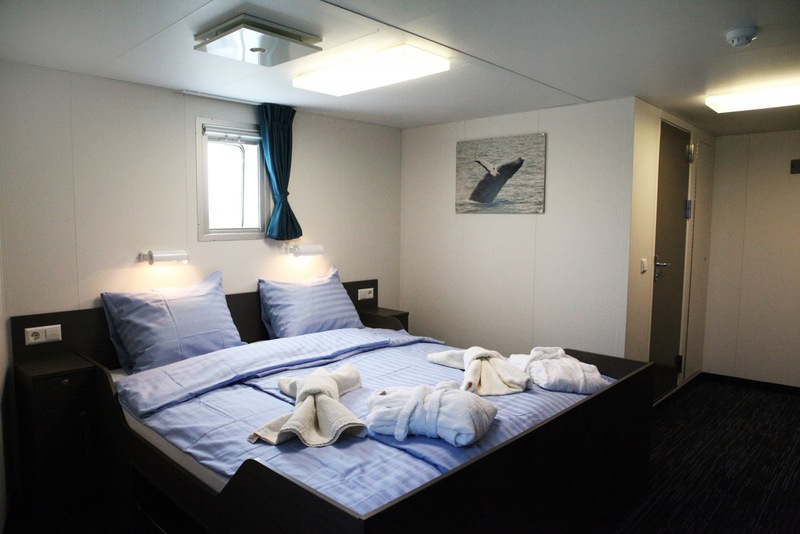 In Neko Harbour you will have the opportunity to set foot on the Antarctic Continent in a magnificent landscape of huge glaciers calving at sea level and enjoy the landscape surrounded by alpine peaks during zodiac cruises. In Paradise Bay, with its myriad icebergs and deep cut fjords, you will have another opportunity for a continental landing and more zodiac cruising between the icebergs in the inner parts of the fjords. In this area you have good chances to see Humpback and Minke Whales. After sailing through the spectacular Neumayer Channel, you may be able visit the British research station and post office at Port Lockroy on Goudier Island. Close to Port Lockroy, a landing on Jougla Point with Gentoo Penguins and Imperial Shags may be in the cards for you! 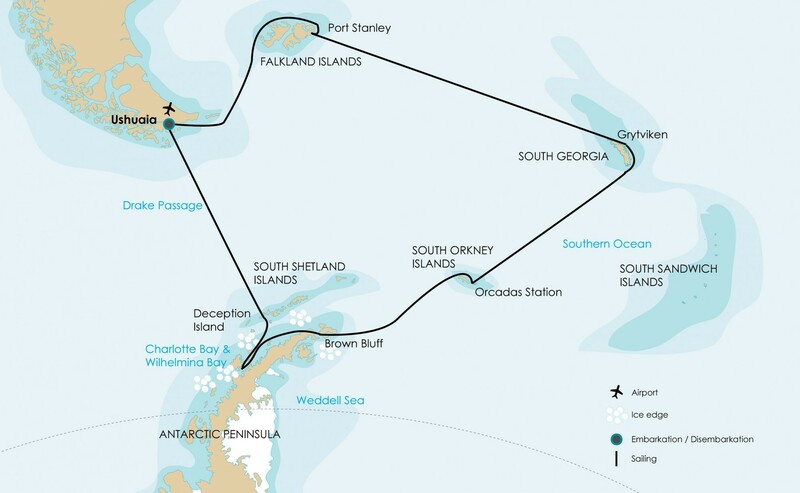 You’ll sail directly to the Weddell Sea, and if conditions permit, directly into the ice-clogged Antarctic Sound. The huge tabular icebergs will announce your arrival to the eastern side of the Antarctic Peninsula and with luck, your first Antarctic Continent landing will be at Brown Bluff, which is probably the most scenic spot in the entire northern tip of the Antarctic Continent with steep canyon walls and tumbling boulders, an ice-cap looming above, and beautiful volcanic creations. The scene is complete with thousands of Adelie penguins nesting on the slopes, and a few Gentoos mixed in for fun. Though the final itinerary will depend on weather conditions and determined by the Expedition Leader on board, a typical itinerary in the Weddell Sea would include the use of helicopters to assist in attempts to find individual Emperor penguins on their way to or from the open water, as well as scenic flights over the area, and even helicopter landings on tabular ice-bergs and locations otherwise inaccessible so early in the season. Helicopter flights are a great contribution to the voyage as the west side of Antarctic Sound is an area rarely seen from the air. The scenery is stunning with landscapes of layered sandstones, lava flows, glaciers tumbling into the sea and ice-bergs and pack-ice as far as the eye can see. You can observe individual Emperor penguins and Adelie penguins on the ice floes; Cape, Snow and Giant petrels fly high in the sky while Kelp gulls, skuas and Wilson’s Storm petrels scavenge down below. The landscape is dominated by jagged mountains pierced through the ice-caps and walls of ice dropped onto the slopes below. Close to View Point in Duse Bay a beautiful helicopter flight over huge blue ice bergs and fast ice can also be made, where you will land on a rocky hillock close to an old refuge hut overlooking the bay. There will still be a lot of snow and ice but much of the intended walk on the Antarctic continent will be over a beautiful frost-shattered rock, almost entirely covered with the most fascinating lichen of all shapes and colors. If the ice-situation allows us to go further into the Weddell Sea area, you will visit Devil Island and Vega Island to visit a large colony of Adelie Penguins and a magnificent view for those hikers who can make it to the top of the hill. Melting ice sometimes provides spectacular waterfall from the cliffs close to point ‘Well-Met’ and further south, you may also visit Seymour Island, where many fossils can be found. On your way north through the Antarctic Sound, you will continue to look out for Emperor penguins on the ice-floes and there may be a visit to the Argentinean station Esperanza on the Antarctic Continent or Gourdin Island, where you will find Chinstraps, Gentoo and Adelie penguins. 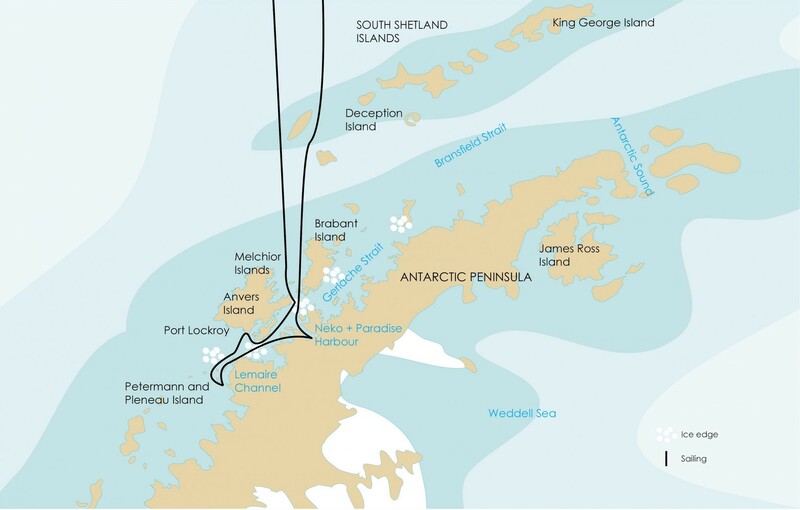 ALTERNATIVE PROGRAM IF THE ROUTE TO SNOW HILL ISLAND IS FREE OF MULTI-YEAR PACK-ICE (LESS THAN 50 % CHANCE): The use of helicopters has a great advantage and can support the expedition’s goal to reach the Emperor penguin colony, but the itinerary is ruled by the forces of nature, ice and weather conditions. If the conditions are favorable, the plan is to spend the first two days at the Emperor Penguin rookery. The helicopter operation will take a full day and the flight duration takes approximately 15 minutes. The helicopter can accommodate 6 passengers per helicopter flight. The landing point of the helicopters will be carefully chosen and crew will ensure that the Emperors are not disturbed or stressed by helicopter noise. Once you disembark the helicopter, you’ll continue on foot, walking 45 minutes, before experiencing a once in a lifetime moment: a rendezvous with the magnificent Emperor Penguins! Keep in mind that you are in the world’s most remote area and there are no guarantees, including a specific amount of helicopter time. Conditions may change rapidly, having its impact on the helicopter operation and passengers should understand and accept this. Safety is the greatest concern and no compromises can be made. 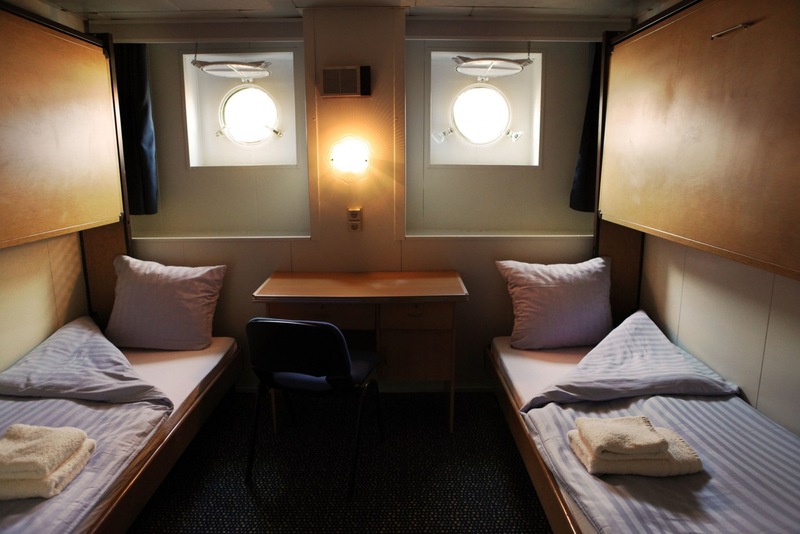 PLEASE NOTE: 14-Day itineraries will spend one less day in Antarctica. Please inquire for details. You’ll start the first day full day in Antarctica waters with a possible landing at Hannah Point in the South Shetlands, where you will find a nice variety of Gentoo Penguins, Chinstraps and southern Giant Petrels, as well as Weddell and Elephant Seals hauling out on the beach. These volcanic islands or the South Shetlands are windswept and often shrouded in mist and fog, but do offer many subtle pleasures. There is a nice variety of flora (mosses, lichens and flowering grasses) and fauna. On Deception Island you may visit Baily Head, home to a colony of ten thousands Chinstrap Penguins (please note this landing is not always guaranteed and is only possible in good weather conditions). Good walkers may hike from Baily Head over the ridge of the crater into Whalers Bay, while your ship braves its entrance into the crater through the spectacular Neptune’s Bellow into the ring of Deception Island. Deception itself is a sub-ducted crater, which opens into the sea, creating a natural harbor for the ship. Here you find hot springs, an abandoned whaling station, thousands of Cape Pigeons and many Dominican Gulls, Brown and South Polar Skuas and Antarctic Terns. Wilson’s Storm Petrels and Black-bellied Storm Petrels nest in the ruins of the whaling station in Whalers Bay. On your way further South, you will sail to the Orne Islands with large colonies of Chinstrap Penguins and a beautiful view across the Gerlache Strait, or to Cuverville Island, a small precipitous island, nestled between the mountains of the Antarctic Peninsula and Danco Island. It contains a large colony of Gentoo Penguins and breeding pairs of Brown Skuas. In stunning Neko Harbour and Paradise Bay with its myriad icebergs and deep cut fjords, you’ll have the opportunity to set foot on the Antarctic Continent. You shall have the opportunity for zodiac cruising between the icebergs in the inner parts of the fjords. You’ll sail through the spectacular Lemaire Channel to Petermann Island offering Adelie Penguins and Blue-eyed Shags, and fair chances to encounter Humpback, Minke and Fin Whales. A possible landing at Pleneau Island could offer encounters with Elephant Seals as well! This afternoon, enjoy your first landing site in South Georgia. Possible visits may include the bay of Elsehul, with its very active Fur seal breeding beach, as well as Right Whale Bay, Salisbury Plain, Godthul, St. Andrews Bay, Gold Harbour, Cooper Bay and Drygalski Fjord, depending on conditions. This will give you a good opportunity to see a wide spectrum of landscapes and wildlife. Possible encounters include the introduced Reindeer, Elephant seals, Fur seals, King and Macaroni Penguins. A particular highlight may be a visit to Prion Island, where you can witness the breeding efforts of the huge Wandering Albatross and enjoy watching their displays (the island is closed for visitors during breeding season from 20 Nov – 07 January). As you sail into the Weddell Sea through the ice-clogged Antarctic Sound, you will see huge tabular icebergs announcing your arrival to the eastern side of the Antarctic Peninsula. 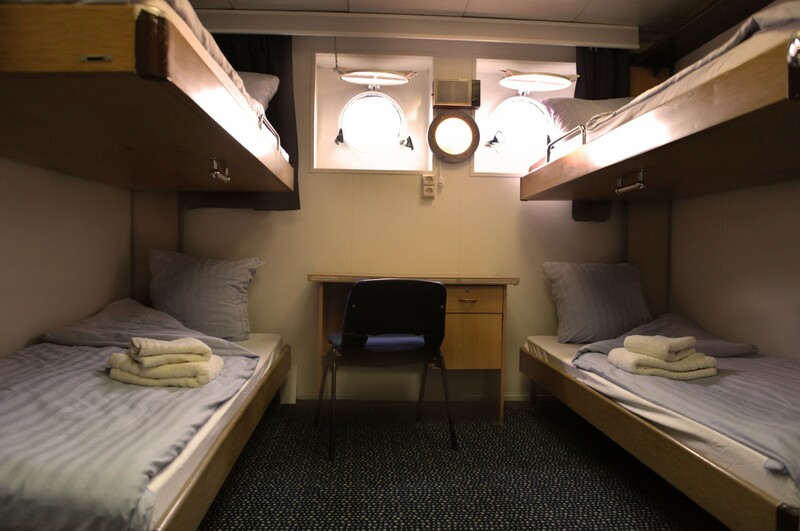 At Brown Bluff, you may set foot on the Continent for the first time during your expedition, and in good sailing conditions, an opportunity to extend your time in the Weddell Sea will be possible. The next few days will be spent exploring visitor sites offering a wide variety of landscapes, icescapes, wildlife and historical opportunities. Possible visits include Paulet Island with a million pairs of Adelie Penguins and the remains of the Nordenskjöld expedition, and Cuverville Island in the Errera Channel, with its large colony of Gentoo Penguins and breeding pairs of Brown Skuas. You will explore Charlotte Bay, on the mountainous west coast of Graham Land, with its nunataks rising through the ice. Charlotte Bay is often filled with icebergs where many seals on ice floes, and occasional, kelp gulls, skuas, shags, or penguins are also on display. In Wilhelmina Bay you will admire the rugged ice coated mountains of the Arctowski Peninsula, and continue on through the spectacular Neumayer Channel, while having chances of seeing Humpback and Minke Whales. Another continental landing is possible at stunning Neko Harbour in Andvord Bay. 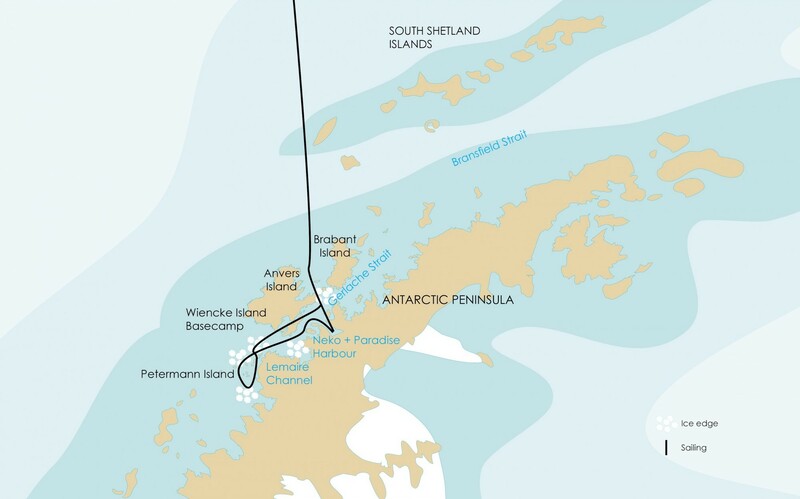 You’ll sail directly to “High Antarctica”, passing the Melchior islands and the Schollaert Channel between Brabant and Anvers Island. 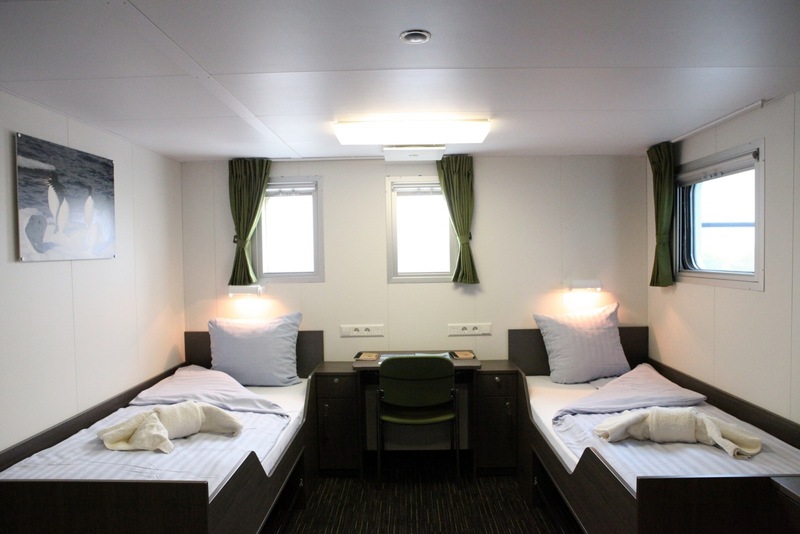 You will sail to the Neumayer Channel, where your captain will position the ship for the multi-activity base camp. The protected waters around Wiencke Island will become your playground for all activities. In this alpine environment, there are great opportunities to scout the region on foot, by zodiac and during kayak trips. Walkers will find opportunities to use snowshoes on hikes near the shore lines and the mountaineers will find their challenge by climbing hills and viewpoints further inland, i.e. Jabet Peak (540 m). All climbs and excursions can only be conducted in good weather conditions. The plan is to stay two overnights at anchor in order to implement two camp nights and two full activity days. You’ll visit the British research station and post office at Port Lockroy on Goudier Island. Close to Port Lockroy there is a chance for a landing on Jougla Point with Gentoo Penguins and Imperial Shags. You will sail through the spectacular Lemaire Channel to Pleneau and Petermann Island where you can find Adelie Penguins and Blue-eyed Shags. In this area there are good chances to encounter Humpback, Minke and Fin Whales. The second Basecamp night will be erected near the continent, where a camp site is chosen in a suitable location close to the next day’s activity. The mountaineers will hope to reach the summit of Mt. Demaria (640 m) at Waddington Bay. A visit to one of the scientific stations in Antarctica will give you an insight about the life of modern Antarcticans working on the White Continent. Further south you may have time to visit the Ukrainian Vernadsky Station, where you will receive a warm welcome from the station crew. When sailing to Paradise Bay, with its myriad icebergs and deep cut fjords, you will have the opportunity for zodiac cruising and kayaking between the icebergs in the inner parts of the fjords. In this area you have good chances to see Humpback and Minke Whales. Hikers, mountaineers and photographers will spend time ashore. -Activites offered on all departures are: Zodiac Excursions, Hiking, Camping, and Kayaking. -Activites offered on all departures are: Zodiac Excursions, Helicopter Excursions and Hiking. -Activites offered on all departures are: Zodiac Excursions, Hiking, and Diving. -Activities offered on all departures are: Zodiac Excursions and Hiking. -Activities offered on all departures are: Zodiac Excursions, Hiking, Snowshoeing, Camping, Kayaking, Photography and Mountaineering. 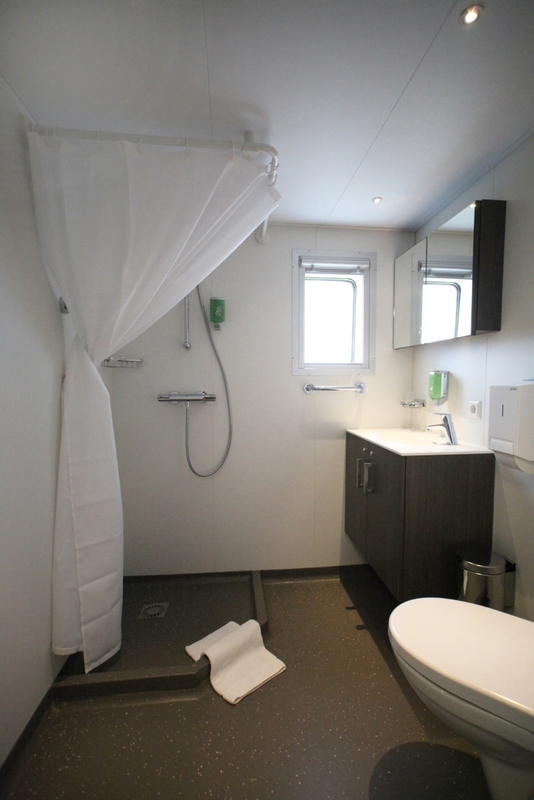 The M/V Ortelius accommodates 116 passengers in 53 spacious outside cabins with private toilet and shower facilities and a minimum of two portholes or windows. 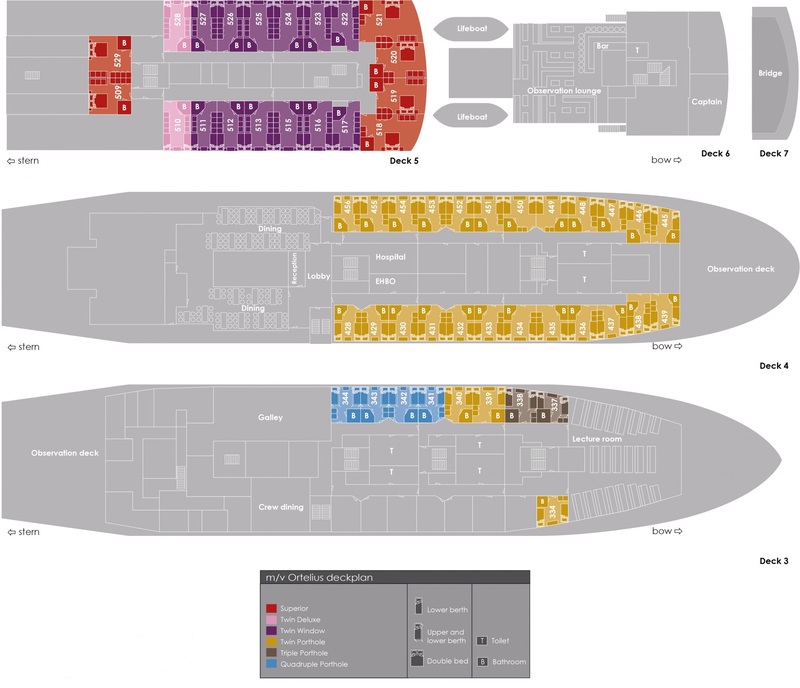 On select departures, the M/V Ortelius will be equipped with a minimum of two helicopters to enable passengers in reaching remote landing sites that otherwise would be inaccessible.